In my review of Angel (hereafter referred to as ‘the original’) I described her as a drag queen and a diva, since this review Angel has informed me that she doesn’t mind being referred to as a drag queen but she is ‘THE Diva’ rather than just plain old diva, I’m not prepared to argue with her so ‘the diva’ it is. Angel Eau de Toilette is still a diva but she is Angel before she puts on her drag queen make up and high heels, she is the daytime Angel, just as fabulous and dramatic but less likely to throw a tantrum. Angel Eau de Toilette starts out with a lot of red fruit, and it’s fair to say that it is fruitier than the original, and it’s also fair to say that it’s not fruity in that horrible sickly way that a lot of current mainstream fragrances are. I don’t detect any of the pepper but there does seem to be a tiny splash of mint in the top notes, not the synthetic smelling fresh stuff, this is a flash of herbal garden mint. What makes the original so great is the contrast between the sweet gourmand notes and the spicy oriental notes and that balance hasn’t been lost in the new Eau de Toilette. The patchouli has been toned down, it retains a lot of it’s presence but it is slightly cleaner than the patch used in the original. There is also a lot of musk in the base, and this gives Angel Eau de Toilette more of an airy quality. The magic of the original’s patchouli/vanilla base is here, it’s just more subdued and there are less of the creamy caramel notes. The notes list praline instead of chocolate and I think that sums Angel Eau de Toilette up perfectly, where the original was bitter dark chocolate, the Eau de Toilette is a light, snack-able praline, lower in calories than the original and easier to digest. Mugler and the perfumer (Amandine Marie) have to be commended for creating a lighter (not fresher – this is not the car crash that was Eau de Star) version of the original whilst maintaining it’s spirit. Angel Eau de Toilette is unmistakably Angel and I truly believe that it has a worthy place within the line, I can see non-fans of the original enjoying it and Angel fans can wear it in the day and switch to the original at night. If you found the original just too much or too scary you should give Angel Eau de Toilette a try, she may surprise you. The bottle is simply spectacular. Angel EDT comes within a refillable comet bottle and the picture really doesn’t do it justice. A metal star swoops around a starburst that explodes into swirls and bursts of Angel’s signature blue. 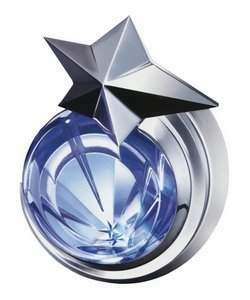 Like most Mugler bottles, the Angel Eau de Toilette Comet Bottle is refillable with eco-resource bottles. Angel Eau de Toilette is hitting counters now and is available in refillable 40ml and 80ml flacons. Prices range from £46-£65. 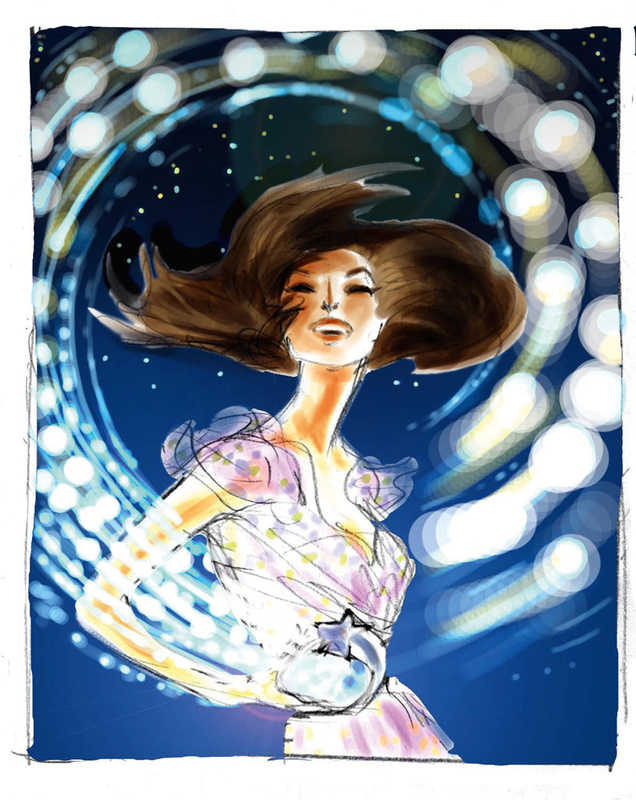 This review is based on a bottle of Angel EDT provided by Clarins/Thierry Mugler. Posted in Feminine, Gourmand, Masculine, Oriental, Perfume Reviews, Thierry Mugler and tagged Angel, Diva, Drag Queen, Feminine, Gourmand, Oriental, Thierry Mugler. Bookmark the permalink. Hopefully it will be! I think it’s much better than the other lighter themed Angels that have been sold (Innocent and Eau de Star) and it is just so much easier to wear.